Since it is not uncommon for most bridal gowns and bridesmaid dresses to require alterations after delivery, we can upon request, recommend a local seamstress that specializes in wedding events. We work closely with several talented professionals and our experience with them has proven you should be pleased with their work and personal attention to your needs. All tuxedo rental alterations are done directly in house at our store. Perfect for a last minute change that might need to be made on the same day of use. So, if you need a tuxedo for an event at the last minute, NOLEN’S can handle it! 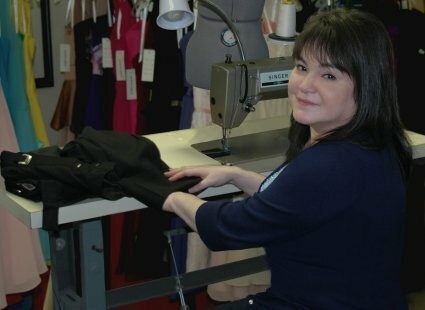 So whether you live in Bryan or College Station, TX, let Gena provide your future wedding dress alterations and alterations for any other formal gown including brides maid dresses and quinceanera dresses.